Myth: Hearing aids restore hearing to normal just as an eyeglass prescription can restore vision to 20/20. Fact: Hearing aids do not restore hearing to “normal.” Hearing aids do not “cure” your hearing loss, but they provide benefit and improvement in communication. They can improve your hearing and listening abilities, and they can substantially improve your quality of life. Myth: You can save time and money by buying hearing aids online or by mail order. Myth: A hearing aid will damage your hearing. Fact: A properly fitted and maintained hearing aid will not damage your hearing. Myth: A milder hearing loss is not bad enough for a hearing aid. Fact: Everyone’s hearing loss and listening needs are different. By working with your audiologist, you can determine if a hearing aid is needed and how much it will improve your hearing. 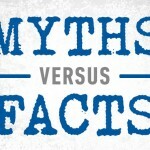 Myth: Wearing two hearing aids is not necessary. Fact: We normally hear with two ears. Binaural (two-eared) hearing helps us localize sounds, assists us in noisy settings, and provides natural sound quality. Most people with hearing loss in both ears can understand better with two aids than with one. Myth: The invisible hearing aids worn in the ear are the best hearing aids to purchase. Fact: There are several styles of hearing aids, and all are “state of the art.” What is most important is that you purchase a hearing aid that accommodates your hearing loss and your listening needs. Just because your friend uses a particular hearing aid style does not mean you have to (or should) use that style. Your friend’s style of hearing aid may be a totally inappropriate prescription for your needs.